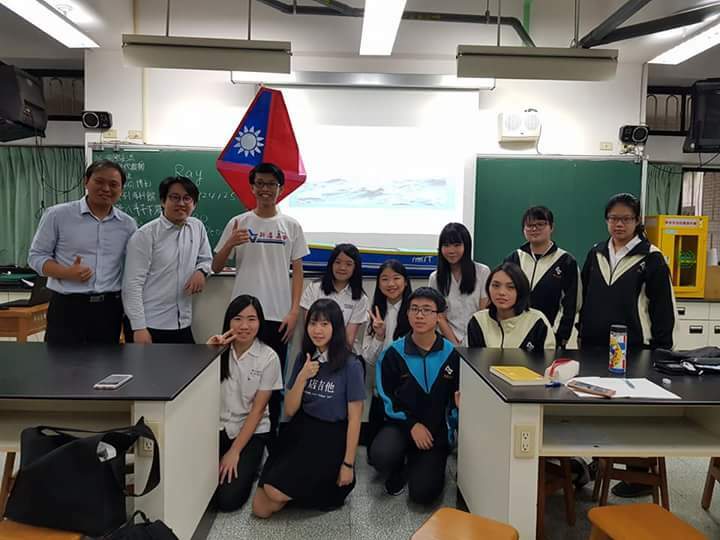 The Taiwan #1 was repaired after its first voyage and will sail again on September 30. Taiwan #1 spent some time at Waipu Primary School where the students learned about its story and the ocean through fun activities. Thank you to all the teachers who made this possible! 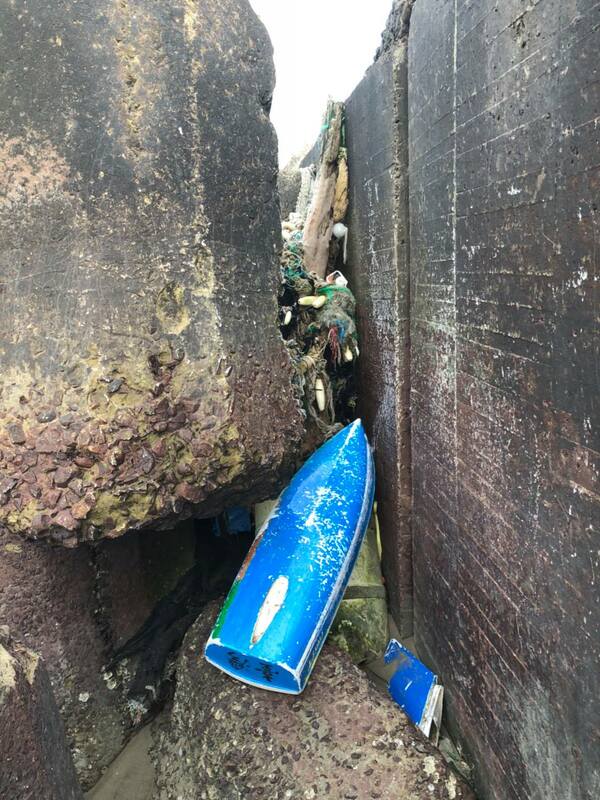 After two days of lost contact, the Taiwan No.1 reported on the Maoli coastline. 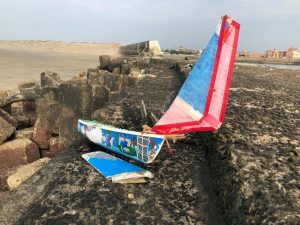 The keel was broken but the body is okay. Thanks to Principal Ji for the recovery. The miniboat will go back to the students for more research, fixing up the keel, and maybe relaunching. Due to two days of strong winds from the North, the miniboat was pushed back to Taiwan strait. We’re waiting for the next position report to see if she landed! The first miniboat in Taiwan has been set to sea! Check out Facebook for more pictures and stories. 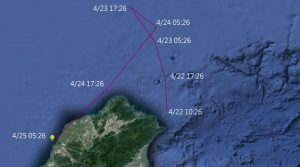 Will she sail to Japan or across the Pacific? 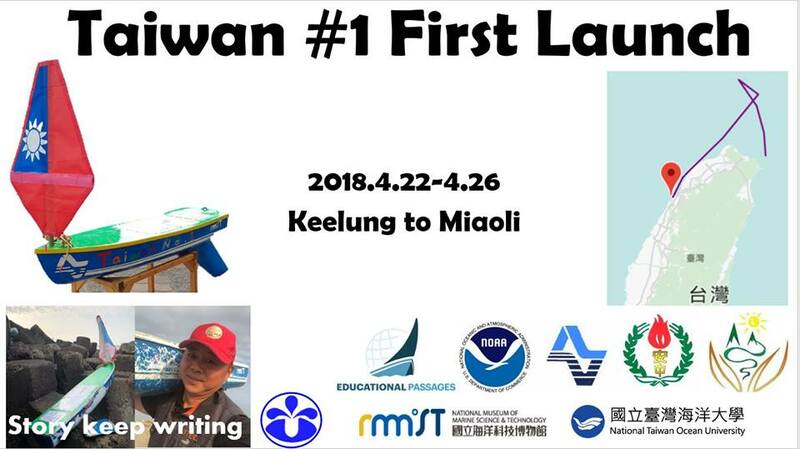 Preparations have been underway for the miniboat Taiwan#1. 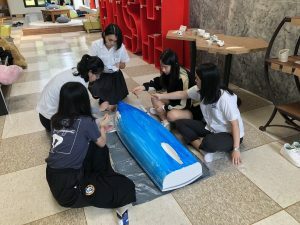 On April 2, students finished painting the boat. 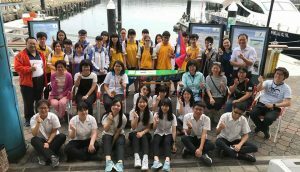 On April 4, they put the boat in the Keelung Museum and learned about ocean ecology and international communication to improve knowledge about the project. The miniboat will be deployed on April 22 from a boat out of the Bisha Yacht Port. We started painting the boat, designing the boat with pictures, and determining the things we will put into the boat, including postcards, and the postcard content by Hsintien students, that all Hsintien senior high school’s students can take a part in. 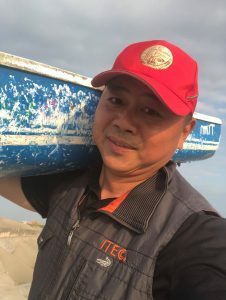 The boat is planned to be launched on April 22. 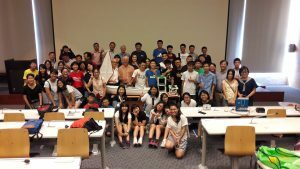 The Taiwan #1, sponsored by National Museum of Marine Science and Technology, National Taiwan Ocean University, Everise Global Logistic Co. Ltd., is the first boat of the Taiwan Educational Passages Project started in Jun 2016 at the National Marine Educators Association (NMEA) conference in Orlando with Dr. Douglas Levin from Washington College. The Hsin Tien Senior High School is the first of what we hope to be many schools involved. The partnership team includes students and teachers, university professors, and marine museum researchers who inspire the high school student team to connect with professional marine science research. The project is the first educational passages project in Asia, and will be student focused to promote ocean literacy. This will be the benchmark for Educational Passages in Asia.